Objection 14: Ali (a) conceded his right; why you Shia do not concede it? If according to the claim of Shia, rightfulness was with Ali (a), Ali himself conceded it; now, why you Shia do not concede it like Ali (a)? 1- Amirul Momineen (a) conceding his right. 2- Followers of Ali (a) and defenders of the school of Ahle Bayt (a) should have remained silent and must not have defended their rightful religion and beliefs. Stance of Amirul Momineen (a) to the Caliphs is clearly mentioned and identified in history in numerous discussions; even though the initial usurpation of Caliphate was through efforts to erase, distort and conceal the facts, but despite this, through the miracle of Ahle Bayt (a), numerous facts yet remain in the books of opponents and have reached us. Traditional sources and historical records are replete with the protests and objections of Amirul Momineen Imam Ali (a) addressed to the nominees of Saqifah. In this quotation, according to the personal admission of Umar, Amirul Momineen (a) considered the first and the second Caliphs to be liars, dishonest, deceptive and sinners. On the basis of this, can it be claimed that Amirul Momineen (a) conceded his right and put up no objection and opposition? [On the last day of the life of Umar and in six-member Shura committee] discretion was given to Abdur Rahman bin Auf. He took the hand of Ali (a) and asked: Do you accept Caliphate on the condition that you will act on the Book of Allah, practice of the Prophet and practice of Abu Bakr and Umar? Ali (a) replied: I accept Caliphate on the basis of the Book of Allah, practice of the Prophet and on my personal view and jurisprudence. After that Abdur Rahman mentioned the same conditions to Uthman and he accepted. Abdur Rahman repeated this statement three times and he heard the same reply. So he paid allegiance to Uthman and people paid allegiance to him and were pleased at his Caliphate. When Khawarij staged an uprising in Kufa, Shia and followers of Ali (a) came to him, paid allegiance to him and said: We are friends to all you befriend and inimical to all your enemies. Ali (a) put a condition to them to act according to the practice of the Holy Prophet (s). Rabia bin Abu Shaddad – who was present in the battles of Jamal and Siffeen as the standard bearer of Khatham tribe, came to the Imam. Ali (a) said: O Khatham, give allegiance on the basis of the Book of Allah and practice of His Prophet. Khatham said: I give allegiance on the basis of practice of Abu Bakr and Umar. Ali (a) said: Woe be on you, if Abu Bakr and Umar had acted against the practice of the Messenger of Allah (s), they have no right. When Amirul Momineen (a) did not accept the practice of Abu Bakr and Umar, how Wahabis claim that he conceded his right, paid allegiance to them and considered them as Caliphs of the Messenger of Allah (s)? When it becomes clear that His Eminence never conceded and lost no opportunity in defending his usurped rights, it is necessary for the Shia of His Eminence also that in following their Imam and Master they should not fall short in explaining the facts. On the other hand, we ask: Why Wahabis do not concede and do not refrain from audacity, threats, distortion, destruction, verdicts of infidelity on Shia and slaying them? On the basis of this, it would be inappropriate for you to expect the Shia to keep quiet and refrain from stating the facts. Some steps of the first and second Caliph in censoring and controlling the traditions of the Prophet and order of prohibition of narrating traditions of the Prophet and their burning down can be studied in the fourth part of the book of Adaab Manzira ba Wahabism (collection of ethical, technical and specialized rules in discussions and debates based on four chapters, Pg. 325 and verso page) from the same author. Sahih Muslim, Vol. 3, Pg. 1378, Tr. no. 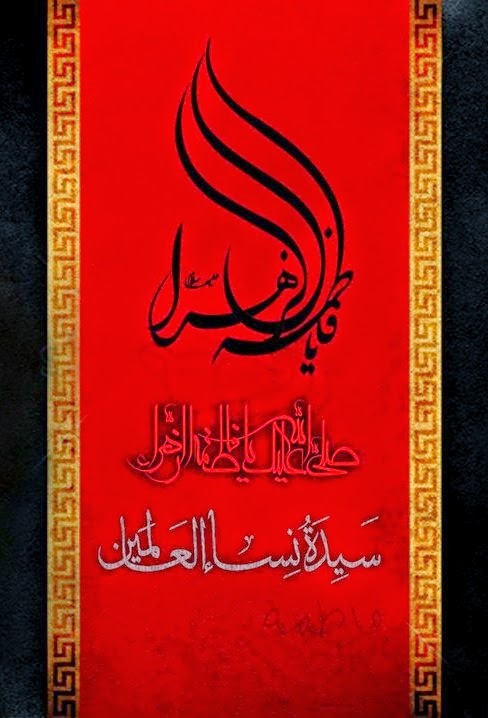 1757, Kitabul Jihad wa Sayr, Baab Hukm al-Fayy, Muslim bin Hajjaj Abul Husain Qashiri Nishapuri (d. 261 A.H.), Edited: Muhammad Fawad Abdul Baqi, Darul Ahya Turath Arabi, Beirut. Al-Jami as-Sahih al-Mukhtasar (Sahih Bukhari), Vol. 5, Pg. 2049, Tr. no. 5043, Kitabul Nafaqaat, Baab 3, Baab Habsi Nafqatur Rajul, Muhammad bin Ismail Abu Abdullah Bukhari Jofi (d. 256 A.H.), Edited: Dr. Mustafa Dibul Bagha, Daar Ibne Kathir, Yamama, Beirut, 3rd edition, 1407 – 1987. Al-Jami as-Sahih al-Mukhtasar (Sahih Bukhari), Vol. 4, Pg. 1549, Tr. no. 3998, Book no. 67, Kitabal Maghazi, Baab 36, Baab Ghuzwa Khyber, Muhammad bin Ismail Abu Abdullah Bukhari Jofi (d. 256 A.H.), Edited: Dr. Mustafa Dibul Bagha, Daar Ibne Kathir, Yamama, Beirut, 3rd edition, 1407 – 1987. Ali (a) sent for Abu Bakr to meet him alone, but said as we don’t like the presence of Umar in our gathering don’t not bring anyone with you. When Umar came to know about this he adjured Abu Bakr not to meet Amirul Momineen (a) alone. Al-Jami as-Sahih al-Mukhtasar (Sahih Bukhari), Vol. 4, Pg. 1549, Tr. no. 3998, Kitabul Maghazi, Baab 36, Baab Ghuzwa Khyber, Muhammad bin Ismail Abu Abdullah Bukhari Jofi (d. 256 A.H.), Edited: Dr. Mustafa Dibul Bagha, Daar Ibne Kathir, Yamama, Beirut, 3rd edition, 1407 – 1987. Sharh Maqasid fee Ilmul Kalam, Vol. 2, Pg. 296, Saaduddin Masud bin Umar bin Abdullah Taftazani (d. 791 A.H.), Darul Marif Nomaniya – Pakistan, First edition – 1401 A.H. 1981 A.D.
 Tarikh Tabari, Vol. 3, Pg. 116, Abu Ja’far Muhammad bin Jarir Tabari, (d. 310 A.H.), Darul Kutub al-Ilmiyya, Beirut.